Charlton were made to pay for not taking their chances on Saturday afternoon as Nikola Zigic scored a last-gasp equaliser at St.Andrews to deny Charlton all three points on their return to the Championship. The first chance fell to the home side, but David Murphy’s cross was hit straight at Ben Hamer by Peter Lovenkrands. Minutes later Charlton had a chance of their own as Johnnie Jackson’s free kick caused Jack Butland problems in the City goal but a deflection saw the ball spin out for a corner. Soon after the Addicks created another opening as former non-league starlet Bradley Pritchard sent talisman Bradley Wright-Phillips through on goal, Wright-Phillips got the right side of Steven Caldwell but couldn’t provide the finish that the free-flowing moved deserved. Charlton certainly didn’t let up in terms of attacking football, and an early contender for miss of the season came as Kermogant somehow managed to scoop the ball over the crossbar. Jackson’s fizzing cross had caused problems in the Blues back-line, and after Wright-Phillips failed to make contact, Kermogant saw his effort go agonisingly over. Just after the half hour mark, Charlton attacked down the left again. This time Rhoys Wiggins delivered the cross only to see his skipper Jackson fail to hit the target from the header. The number of missed chances were now beginning to mount up and Charlton were almost made to pay when Ravel Morrison fired just wide after a strong forward burst from midfield. It was all square at the break but few could argue that the visitors deserved to be ahead. A familiar story began to unfold in the second period. After more fantastic link up play down the left by Jackson, Wright-Phillips’s attempted cutback failed to find the on-rushing Kermogant. Jackson then saw yet another effort on goal saved by Butland and the South-Londoners behind the goal began to roar as they sensed a goal was coming. Sure enough, the team was rewarded for their phenomenal performance ten minutes from time. A game of head tennis ensued in-front of the away end, with the ball eventually falling to Leon Cort who headed home to send the 1600 Addicks into delirium. The players celebrations showed just what the goal meant, and the fans began bouncing as it seemed Charlton would be heading back down south with all three points. As injury time was announced it still seemed as though Charlton would hold on, because in truth, they’d rarely been troubled by a supposedly strong Birmingham side. City launched the ball forward for one last time, and as the ball sat up kindly, substitute Zigic drilled the ball home to break Addicks hearts. Heads were in hands and the looks on the faces of the travelling fans said it all. That was to be the last kick of the game, and a real kick in the teeth, for a Charlton side who had put on a performance that can fill the fans with pride and hope. 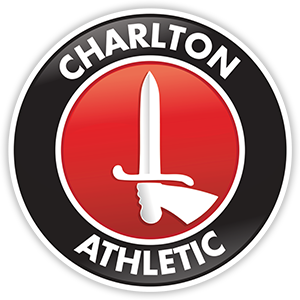 Perhaps last season they would have held on, but it seems that Charlton were taught a lesson, a very harsh one.